We ate a couple of times at the Sunrise Cafe. 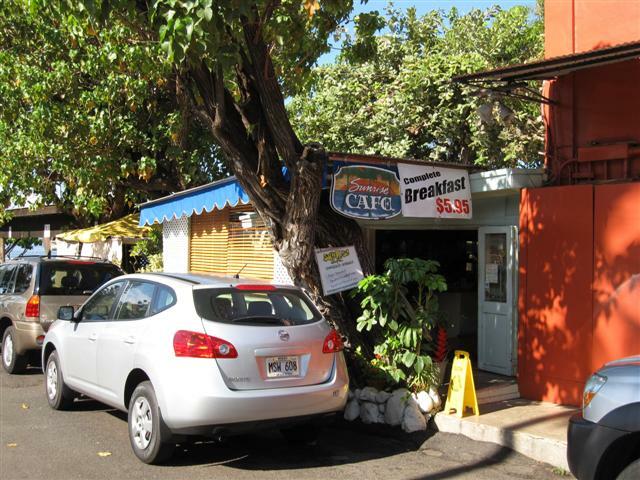 It’s a little hole-in-the-wall next to the harbour, serving delicious eggs, omelettes, french toast, etc. The second time we went, the service was very slow, but they did warn us this would be the case. It’s just off the main street. There are no views to speak of – strangely enough the view of the ocean is blocked by a private parking garage next door. However, it was a really good deal for very good food. Highly recommended!